Today's Friday, so instead of posting more work, I thought you might want to see a picture of Miranda the dog being a human on the sofa. I love her. She's the best. She really loves this blanket, too. 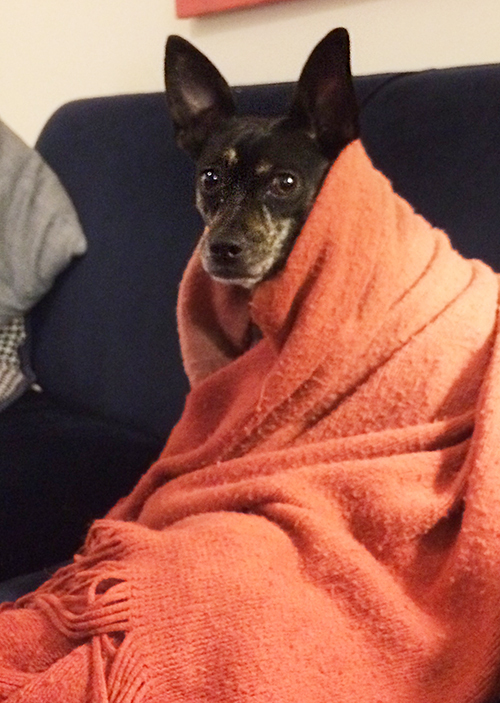 If this blanket isn't on the sofa, she doesn't really know how to live. Wishing you a comfy cozy day in super cold air conditioning. Happy Friday!